Pepe is a silly boy with a serious job. He’s a psychiatric service dog. Some of his tasks involve waking Carolyn from night terrors and waking her when her alarm goes off. He has to be persistent when waking her because her meds lower her blood pressure. He interrupts panic episodes by pushing at her hands or getting in her face. He also makes sure she feels safe by letting her know if someone is behind them. 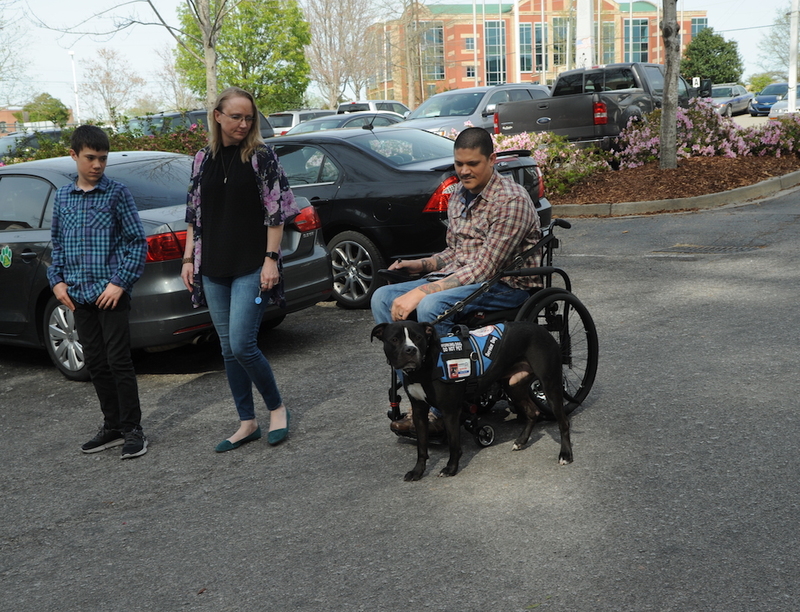 Ziggy assists Amy with things like opening and closing doors, picking up objects, and pulling her wheelchair, among other tasks. Ernie and Peyton’s favorite sport is soccer! Peyton plays power wheelchair soccer. The two have been a service dog eam since the summer of 2018. Ernie helps Peyton with mobility tasks and does a lot of retrieval for him. Gibbs is an easy going dog who is always happy to help Adam with daily tasks. Gibbs retrieves items for Adam, as well as opens doors. He also helps brace Adam, when necessary. Margie and Captain, as he is affectionately known, live in New York. They met through Animal Farm Foundation, where Captain has been trained to help with Margie’s mobility when she has dizzy spells, by helping her keep her balance or by bracing her on stairways. He can also retrieve items that she has dropped or get the phone if she is having a particularly bad day. With Captain by her side, Margie once again feels confident in public. Even though Captain is a mobility service dog, he is a great emotional support in Margie’s life too. Together, they work as a team, taking life head-on. In North Carolina, trips to the beach and out in public were difficult for Vicki, who has a lung disorder that makes her dizzy and an unsteady walker. 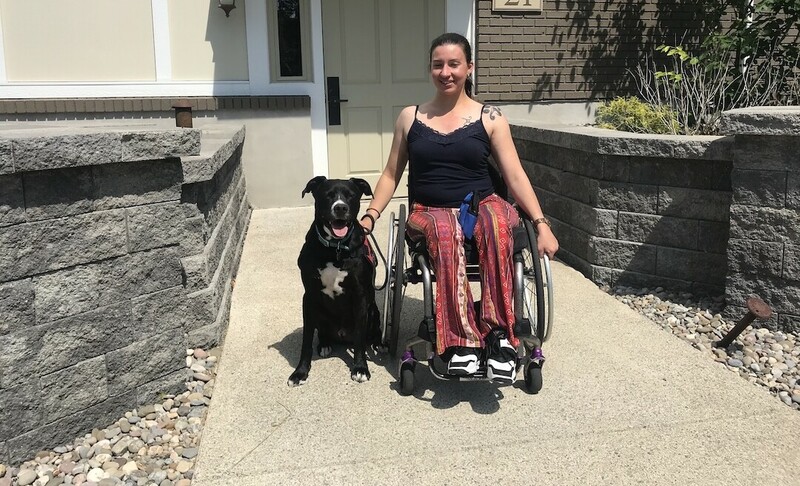 Through Animal Farm Foundation, Parker was matched and trained to help Vicki by bracing her when maneuvering stairs or with feelings of unsteadiness. He can also retrieve objects for her if they are dropped. Parker opens doors for Vicki, both literally and figuratively. With Parker by her side, Vicki is provided with more independence than before, allowing her to do some of her favorite things again. After a motorcycle accident, Matthew struggled to maintain his mobility. Then he met his service dog, Jericho. They clicked immediately. Jericho pulls Matthew in his wheelchair, retrieves dropped items, and hit switches. Jericho braces Matthew if he falls. The two are an inseparable service dog team. Zen is originally from Hillsborough County Animal Services in Florida. After training him as a service dog, we Zen paired with his handler, former marine Joe. Zen attends school with Joe. 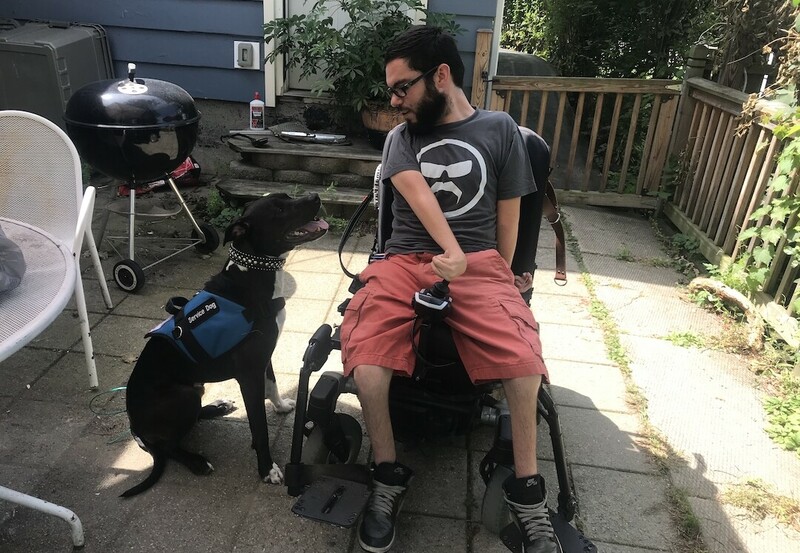 With Zen by his side, Joe is confident and independent and can fully enjoy normal, everyday life. Fiona has a demyelinating neurological condition, which affects the nerve fibers in her brain and spinal cord. She has chronic pain, weakness, and limited sensation on the right side of her body. Koda provides counter-balance for Fiona, making walking and standing easier. He uses deep pressure to help her sense her extremities and retrieves items from the floor. Isa is an epileptic and relies on Lily as a seizure response service dog. 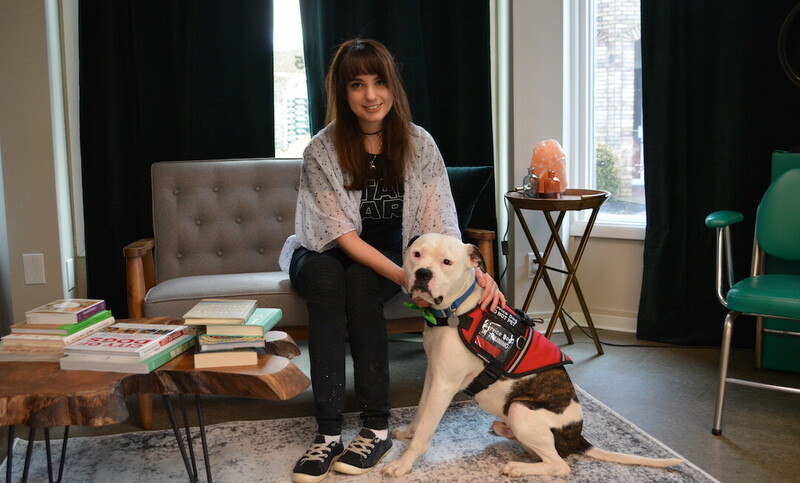 Lily is specifically trained to stay with Isa and provide weight by laying on or near her when she is having a seizure so that she does not harm herself. Not only that, but Lily is also trained to go get help if Isa asks her to, whether it be at home or in public. And if Isa drops something? No problem, Lily will retrieve it for her. Lily has helped Isa gain more confidence in public outings and even in the home.